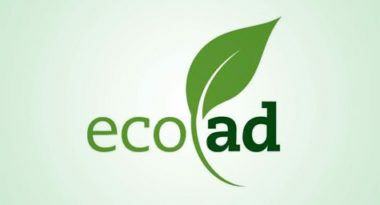 To appeal to the growing green audience, CBS has plans to develop EcoAd, a green advertising program that uses advertising dollars to fund environmental projects, and then bring it to its numerous TV, radio, online, and billboard ad offerings. This development comes after CBS’s recent purchase of EcoMedia, a firm that focuses on redirecting company budgets in a more energy-efficient direction. GreenBiz.com reported on this intriguing network news. This new EcoAd program is being overseen by EcoMedia. These EcoAds will be clearly marked with a green leaf logo and part of the money from the ad will be directed toward local ecological projects. EcoAds are already capturing the attention of advertisers. Large companies such as Avidia Bank, Chevrolet, PG&E, Safeway, and O Organics were among the first to align themselves with this project. Their involvement shows that they share the concerns and commitment of the rapidly increasing eco-conscious audience. To discover how green advertising can work for your company, contact MDG Advertising. MDG Advertising, a full-service Florida marketing agency with offices in Boca Raton and New York, NY, specializes in developing targeted Internet marketing solutions, exceptional creative executions and solid branding and media buying strategies. Our core capabilities include print advertising, branding, logo design, creative, digital marketing, media planning and buying, TV and radio advertising, customer relationship management, loyalty programs, public relations, Web design and development, email marketing, social media marketing and SEO. View MDG Advertising’s creative marketing portfolio.